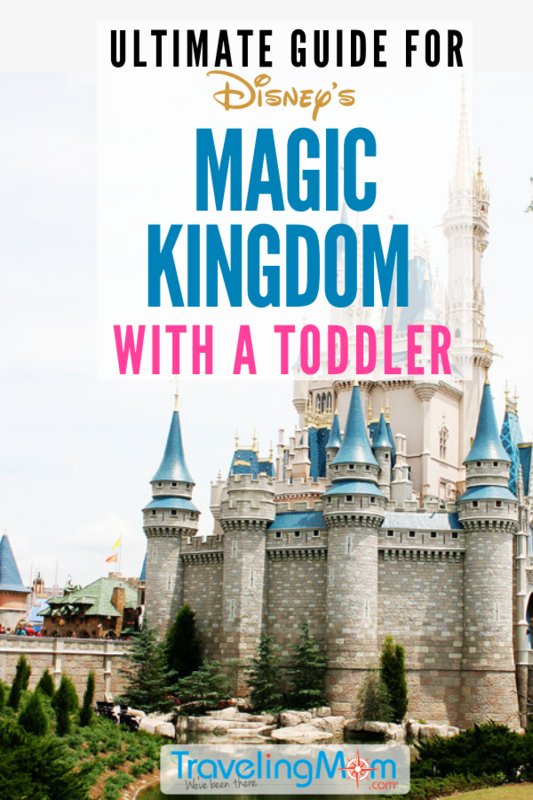 Is it possible to have a magical time with toddlers at the Walt Disney World Resort? Absolutely, after all it’s the Most Magical Place on Earth! Our Day Trips TravelingMom (and mom to four kids, aged toddler to teen) is rating her favorite theme parks for toddlers. 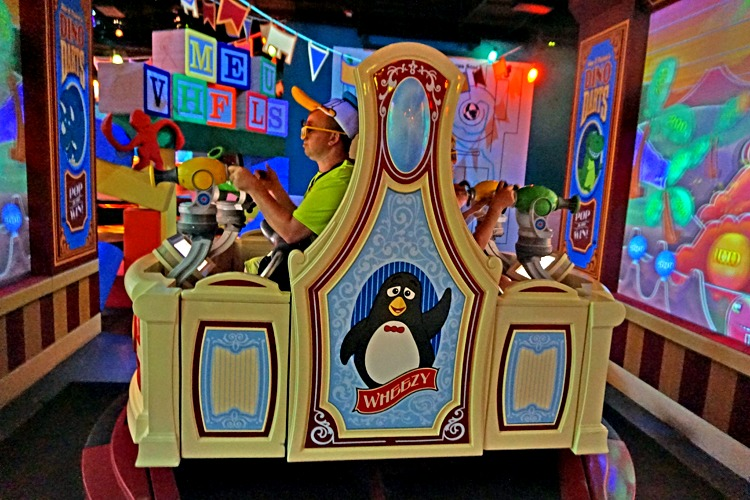 Find out which attractions pass the test and which shows, rides, character greetings, and snacks will consistently meet the approval of unpredictable toddlers. 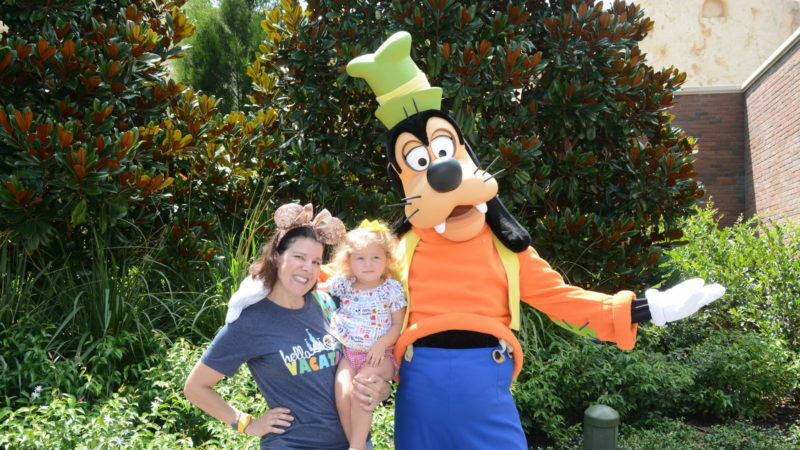 If you’re planning a Disney World vacation with little ones, you might wonder, “When is the right age to take your children to Walt Disney World?” And you might want to know if a theme park is even an appropriate vacation destination for a family with a toddler. I mean, what can toddlers do at Disney World anyway? 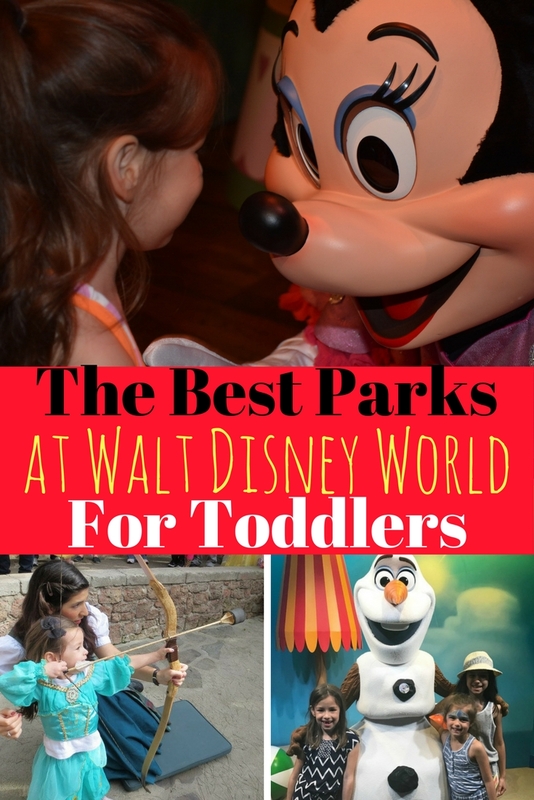 There is plenty for toddlers to experience at Walt Disney World. It continues to be my family’s number one choice for a vacation. Some may say that toddlers won’t remember their vacations. This may be true, but I’ll sure remember that joy in my toddler’s eyes when she sees Mickey Mouse! Yes, vacationing with a toddler anywhere can be a challenge for sure. If you have a pre-trip game plan, toddler travel can be a happy and memorable experience. Disney World truly caters to the needs of toddlers and their families in the quality of rides, attractions and shows. 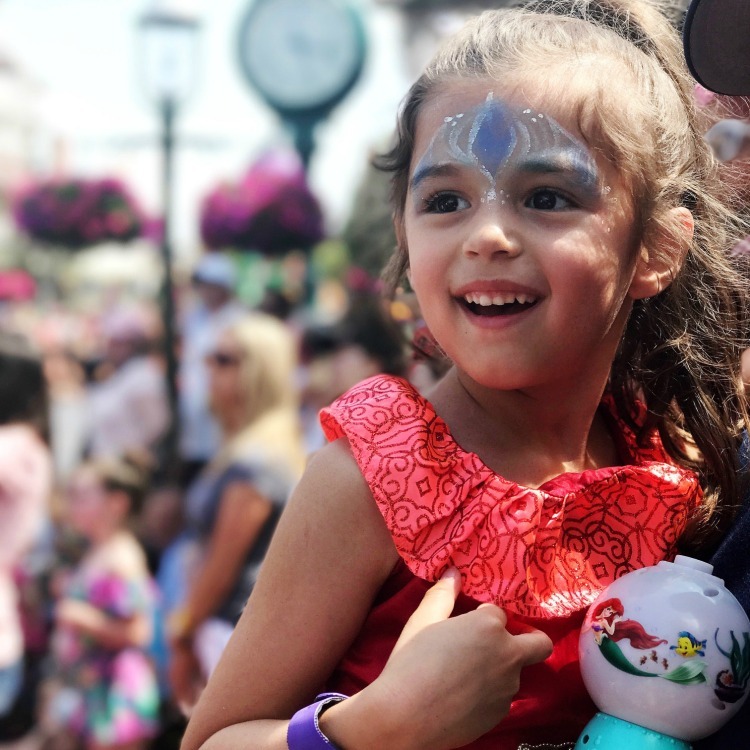 The face of your toddler when they’re experiencing the Disney magic first-hand is simply the best! 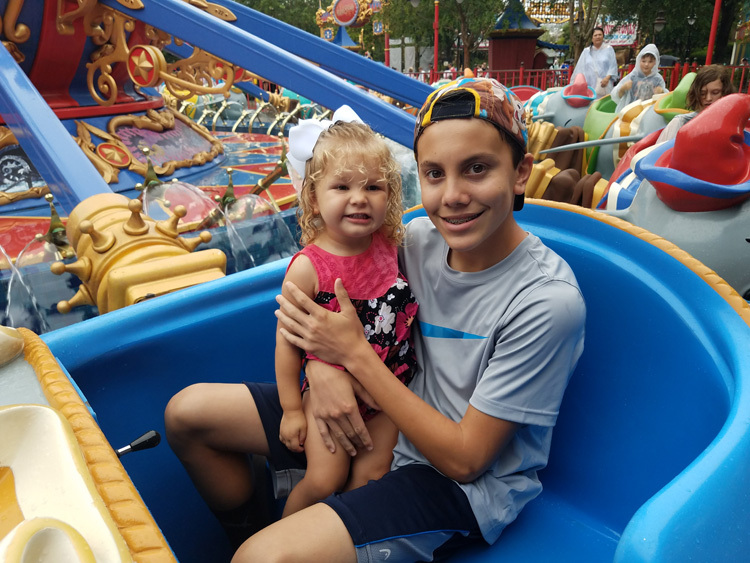 Walt Disney World in Orlando Florida has four theme parks and I have traveled to each of them with all four of my kids over the years (from baby-aged to teen!). 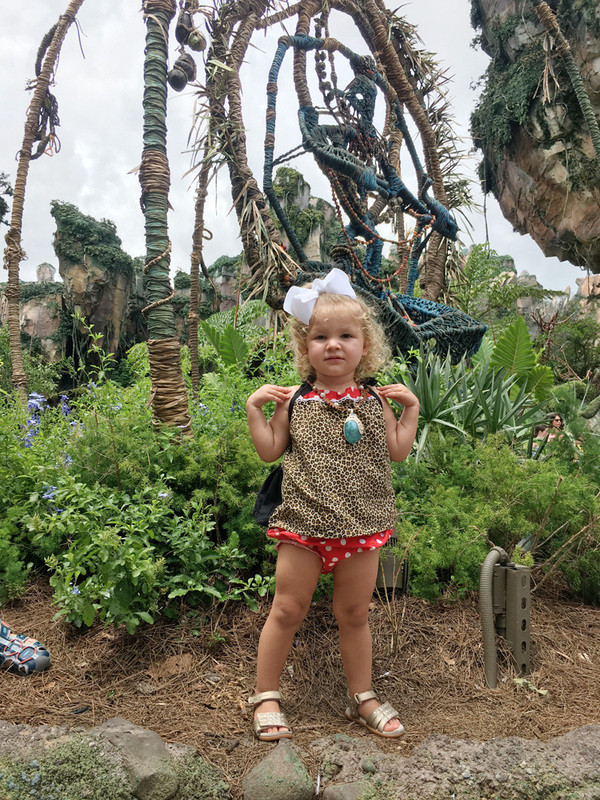 Fortunately there’s something for everyone, toddlers included, inside each of the four Disney World Resort parks – Magic Kingdom, Animal Kingdom, Hollywood Studios and Epcot. 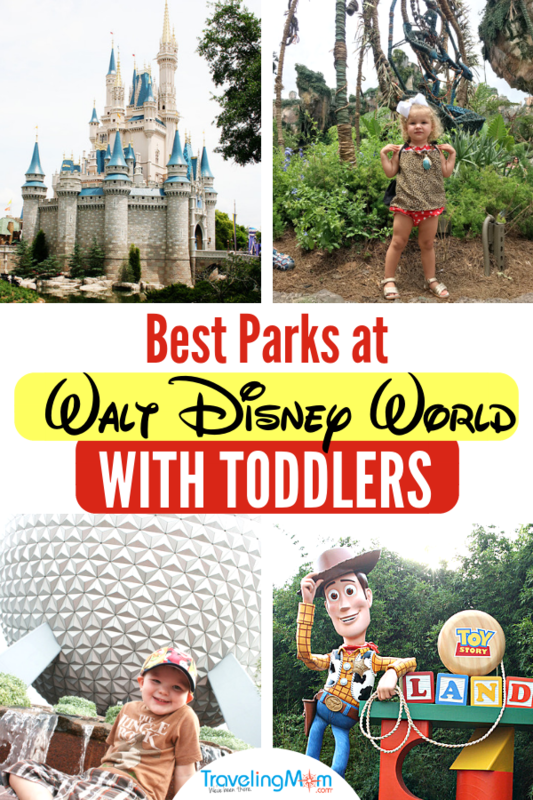 Keep reading for my recommendations of the best parks at Disney World for toddlers with lots of tips along the way! Some of the suggested rides in this post have low height requirements that are appropriate for some tall babies or toddlers (32″ or taller). Be sure to measure your toddler before the trip (wearing the shoes he’ll wear at the parks). 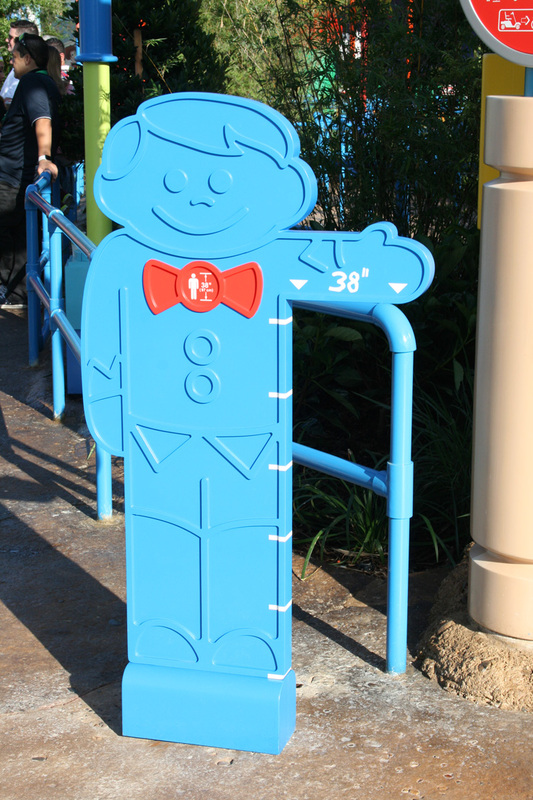 This way you’ll have an idea which attractions he will meet the height requirements for. Children 2 and under will not need a park ticket. Once your child has their third birthday, you’ll be required to purchase them a park ticket and they’ll receive their own MagicBand. Schedule FastPass+ for everyone with a MagicBand before your trip to limit line waits. Having FastPasses booked for the most popular toddler-friendly attractions will ensure you’ll get to your favorites quickly with minimal wait. 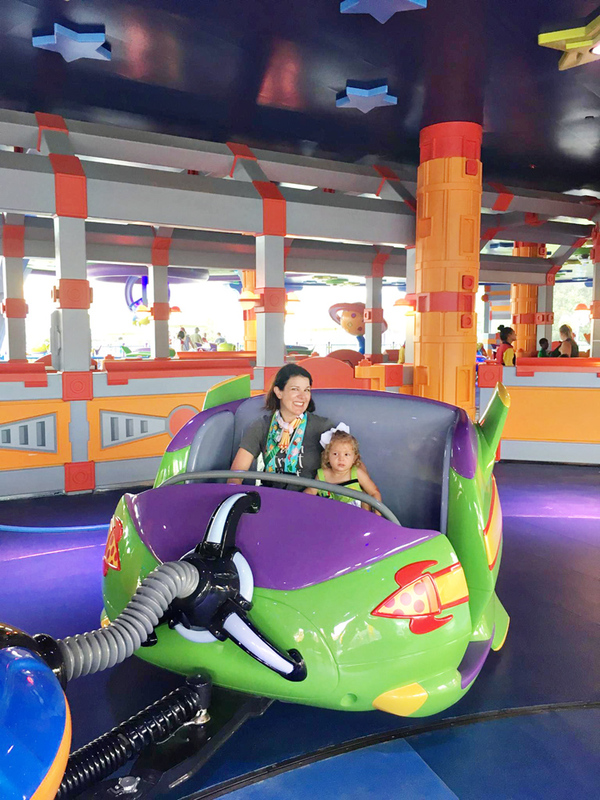 Many of the rides in Magic Kingdom do not have height restrictions, so toddlers can join their parents in the fun.The attractions and characters available for the little ones inside Magic Kingdom far outweigh the other parks. I’d recommend visiting this park at least twice during your vacation. Fantasyland was designed for the littles, and there’s so much for them to experience. I highly recommend starting your day here! Must-do rides that toddlers will love in Fantasyland are Dumbo the Flying Elephant, “it’s a small world”, Prince Charming Royal Carrousel and The Many Adventures of Winnie the Pooh. Brave toddlers (who meet the height requirement) may enjoy The Barnstormer or Seven Dwarfs Mine Train. Elsewhere in the park try, Jungle Cruise, Tomorrowland Speedway, and the Magic Carpets of Aladdin. Toddlers are big “rail fans” so don’t miss taking the round trip tour on the Walt Disney World Railway. Some rides do not have height restrictions but use discretion before boarding. If your toddler is skittish of the dark, you may want to skip some of the “scarier” rides like Pirates of the Caribbean or Haunted Mansion. My son was a very tall toddler and met the height requirement for the Mountains (Splash Mountain, Space Mountain, and Big Thunder Mountain Railroad) at just two years old! If your toddler really loves thrill rides and meet the height requirement, then go for it! 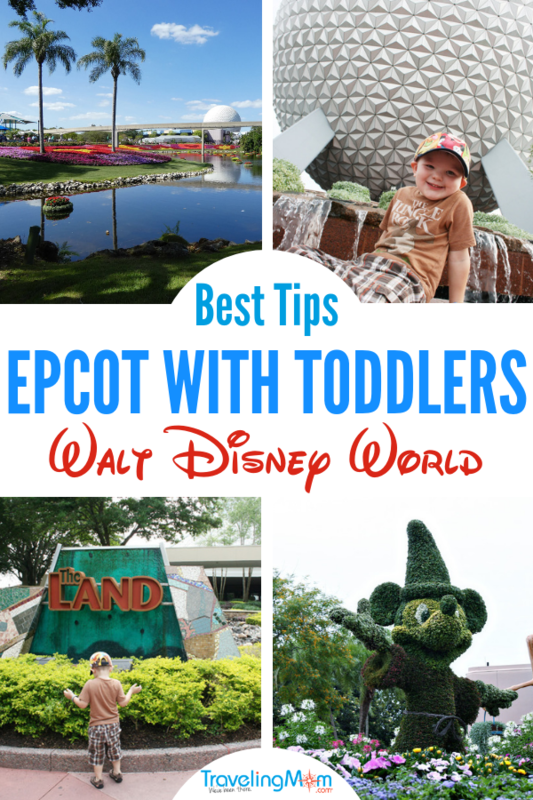 For full details read these suggestions on the best toddler rides in Magic Kingdom. 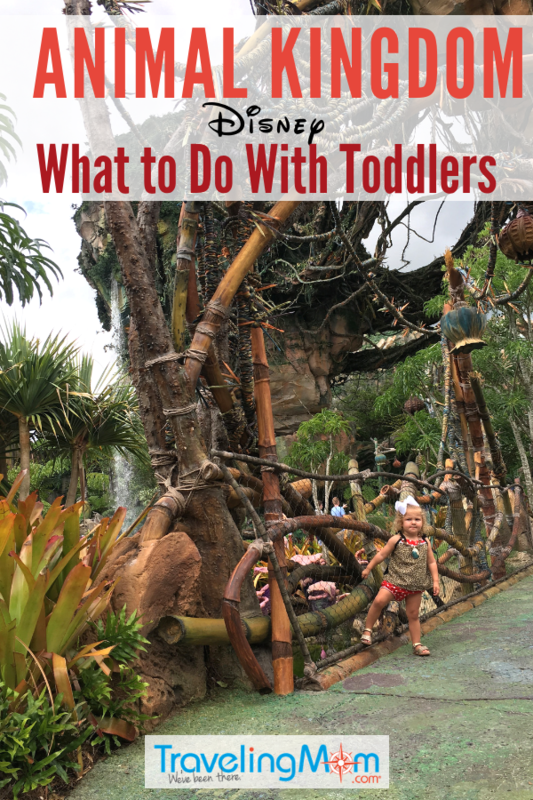 It can’t be rides all the time because toddlers need to get out of the stroller and explore! Toddler-friendly play areas include the air-conditioned queue inside the waiting area for Dumbo the Flying Elephant, Tom Sawyer Island, and a water play area called Casey Jr. Splash ‘N’ Soak Station in Storybook Circus. 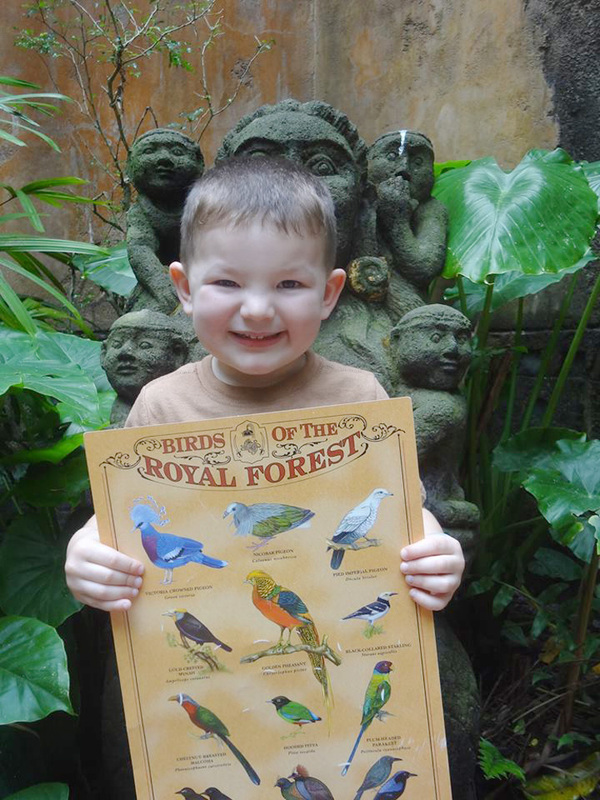 Walt Disney’s Enchanted Tiki Room and Country Bear Jamboree are additional show-like attractions that my toddlers loved! 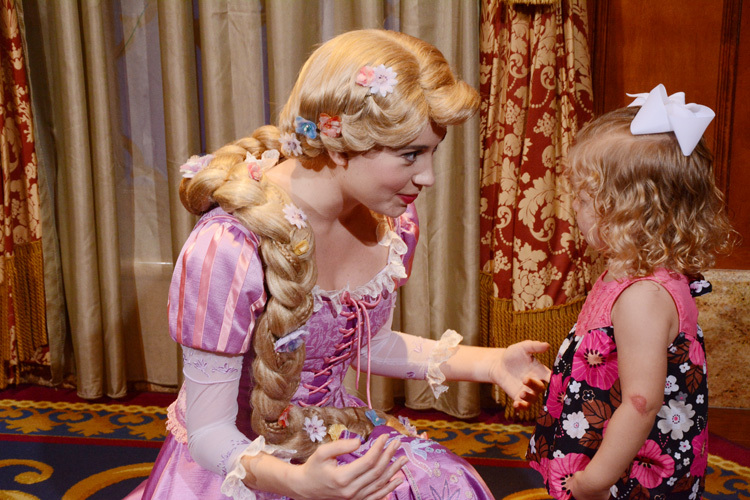 Character meet and greets are a way for toddlers to get up-close and personal with their favorites. Magic Kingdom meet n’ greets include princesses like Cinderella and Elena of Avalor inside Princess Fairytale Hall, Ariel in her Grotto and Storytime with Belle. You’ll find Mickey Mouse and Tinkerbell in the Town Square Theater, Winnie the Pooh and Tigger outside of their ride in Fantasyland and other favorites inside Pete’s Silly Sideshow. Who doesn’t love a parade? 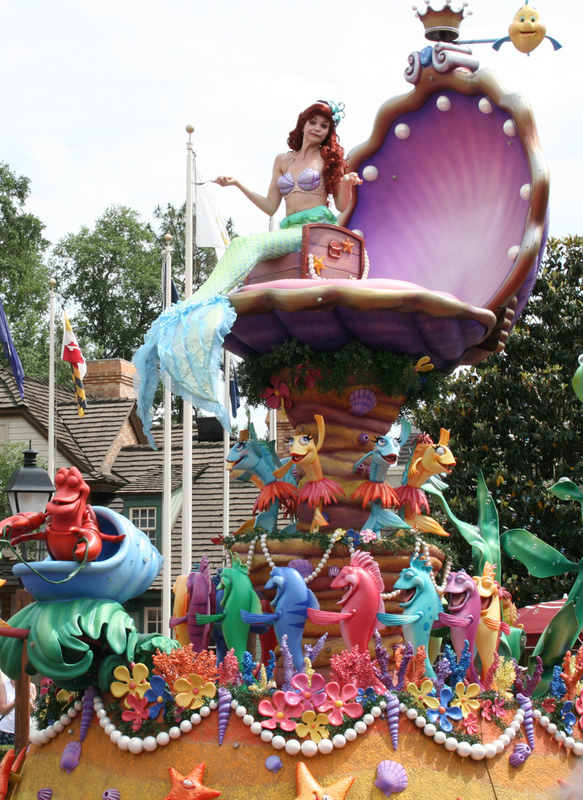 Disney’s Festival of Fantasy Parade in the Magic Kingdom Park is the cream of the crop! The floats, music and costumes are a visual feast. This is also great way for your little ones to see all their favorite characters at once. Stake out a spot in the shade and eat a favorite snack while waiting for the parade to start. The forefront of Cinderella Castle is host to several exciting outdoor shows. If you have a toddler who loves to move and groove, don’t miss the vibrant Move It! Shake It! Dance & Play It! Street Party. In addition, Mickey’s Royal Friendship Faire offers great music, dancing and a load of characters to see on stage. Closing the night with fireworks at Magic Kingdom is a must (if your toddler is still awake!) The Once Upon a Time Fireworks Show is incredible! If your toddlers are not a fan of fireworks, I suggest sitting further away from Cinderella Castle as they can be loud – or just be prepared to cover their ears. The projections on Cinderella Castle tell a story you don’t want to miss. If your toddler enjoys the character greetings, consider a full character dining experience with toddler-friendly Winnie the Pooh and friends inside The Crystal Palace. Columbia Harbor House macaroni and cheese was my toddler’s favorite! Cheese flatbread and garlic bread sticks from Pinocchio Village Haus were another meal success. 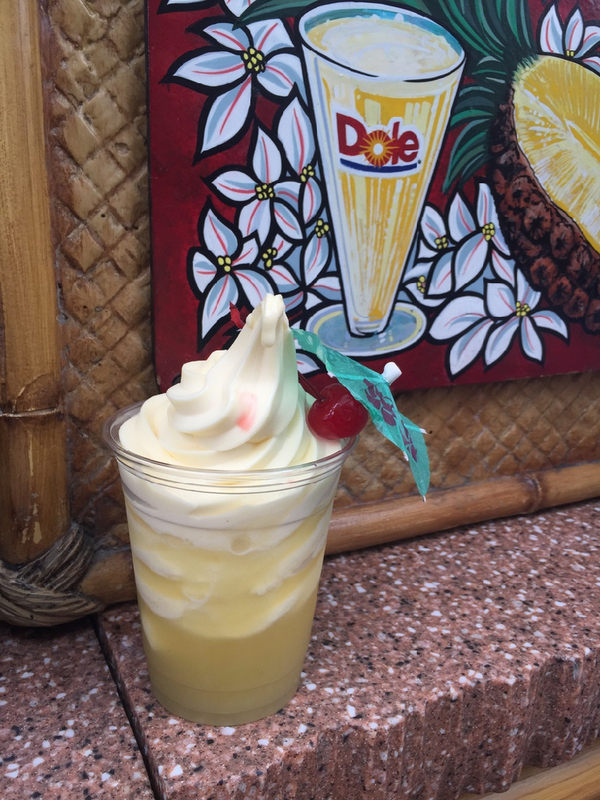 For snacks, toddlers love the sweet and tangy taste of a Dole Whip from Aloha Isle. The pink and purple striped Cheshire Cat Tail at Cheshire Cafe is another delight. TravelingMom Tip: If your child is two and under, you can serve them their own plate at any buffet dining restaurant without charge. If you purchase your toddler their own food or snack at a full service or quick service restaurant, you will be charged the cost of the meal. 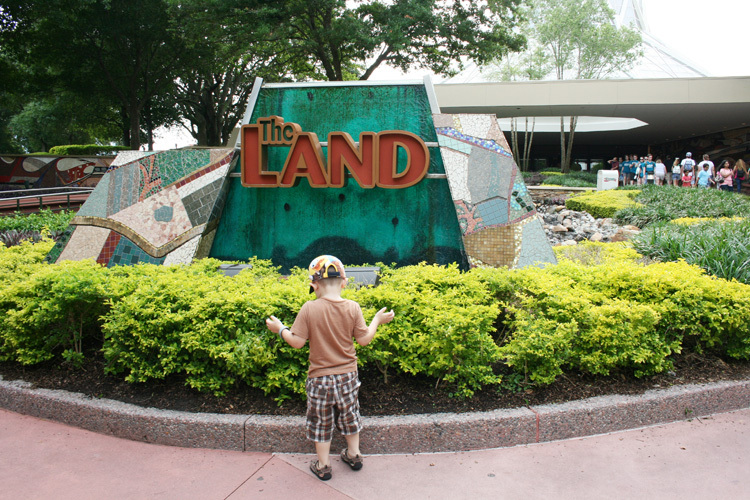 My second Disney World park suggestion for toddlers is Animal Kingdom (mostly based on the presence of animals and The Boneyard in DinoLand, U.S.A.). The Boneyard is an open air play space where kiddos can run around in a playground designed to look like a fossil dig site. There are ropes, bridges, tiny slides, and more. It’s a great place for toddlers to burn off some energy! In regards to rides, don’t miss Pandora – the World of Avatar. Na’vi River Journey is a family ride where you climb aboard a reed boat and drift downstream. The scenery is beautiful and there are no wild bumps or drops. The area around Pandora has some cool features that toddlers will like to explore. Toddler rides at Animal Kingdom are Kilimanjaro Safaris (a safari jeep ride where you can see tons of animals) and Triceratop Spin. TravelingMom Tip: Prepare for long waits in line with a few toddler tricks up your sleeve! Here are 12 Things to Do Waiting in Line at Disney Parks. 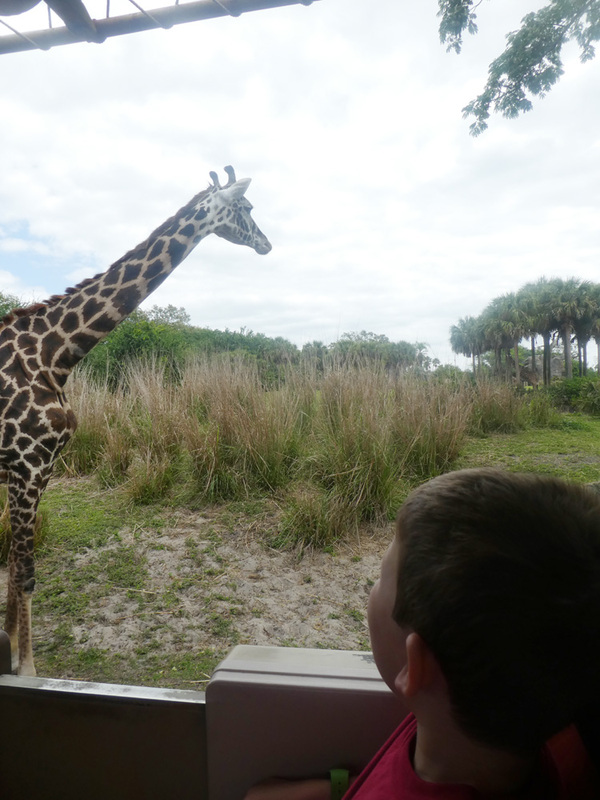 Will your toddlers like the shows at Animal Kingdom? It really depends on the attention span of your toddler, as some of the shows are on the long side. Festival of the Lion King was my toddler’s favorite and she sat on my lap, mesmerized for the entire show. 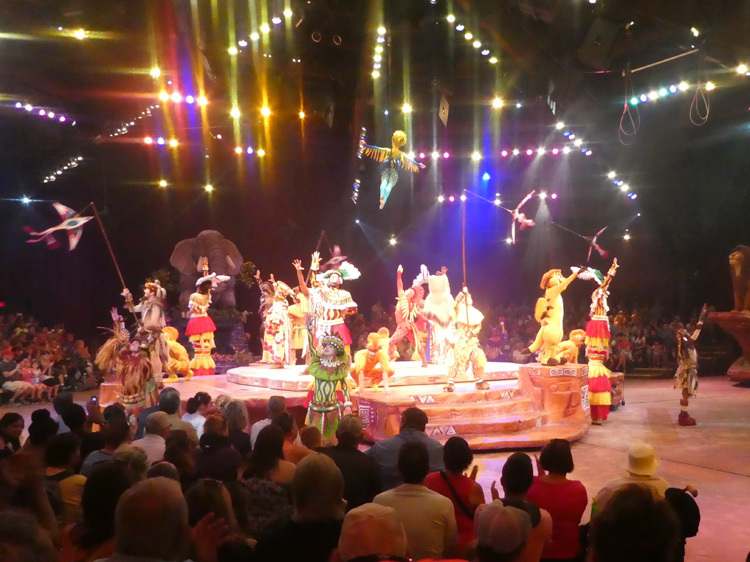 Everything from the music, costuming, jumping Tumble Monkeys, fire dancer and huge floats of favorite characters from The Lion King is engaging. There are two additional shows that I’ve yet to experience – UP! A Great Bird Adventure and Donald’s Dino-Bash! are now shown several times a day at Animal Kingdom. The latter show (featuring the quacktastic Donald Duck) is sure to be a hit with toddlers! And if all else fails there are tons of animal enclosures for toddlers to look at, just like at the zoo back home! Meals at Animal Kingdom err on the adventurous side but there is still plenty of toddlers to dine on here. At Tusker House, kids can meet Mickey Mouse, Donald Duck, Daisy Duck and Goofy and receive a table service meal. My toddler happily gnawed a BBQ rib at Flame Tree Barbecue on our last visit! And of course there’s always the kid-friendly pizza option at Pizzafari. Disney’s Hollywood Studios is a great theme park, with tons of shows and thrills for older kids and adults. However, there are not a lot of rides here for toddlers. Thank goodness for Disney World Toy Story Land to save the day with three toddler-appropriate attractions! Toy Story Mania! is the only ride at Hollywood Studios without a height requirement. Toddlers who meet the height requirements may also ride Alien Swirling Saucers and Slinky Dog Dash. Fortunately there are things other than rides for toddlers at Hollywood Studios. There are shows aplenty that toddlers will enjoy here. The Disney Jr. Dance Party! show is tailor-made for toddlers, featuring all their favorite character from television. This interactive live show includes Mickey from Mickey and the Roadster Racers, Vampirina, Timon from the Lion Guard, and Doc McStuffins. Your toddler is encouraged to sing and dance along. Be aware that all seating is on the floor but little ones can stand up to dance. There are also stage shows like Beauty and the Beast Live on Stage and Voyage of the Little Mermaid. There is one scary scene in Beauty and the Beast, but it’s not too bad. 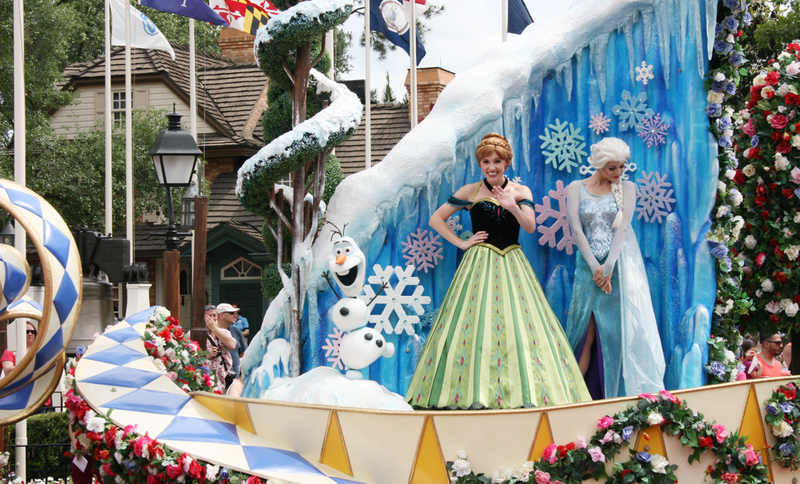 If you have Frozen fans, then For the First Time in Forever: A Frozen Sing-Along Celebration is a can’t-miss show! Toddlers get to sing along with Frozen’s most popular songs. TravelingMom Tip: If you wonder at all if an attraction or show is appropriate for your toddler, ask the Cast Member stationed at the entrance. They should be able to give you more details on why or why not! Mickey and Minnie greet guests all day at Red Carpet Dreams. You can meet Disney Junior friends like Sofia and Vampirina in the Animation Courtyard during the day. Want more characters? Buzz Lightyear, Woody and Jessie also greet in Toy Story Land! If you have tiny Star Wars fans, head to Star Wars Launch Bay. 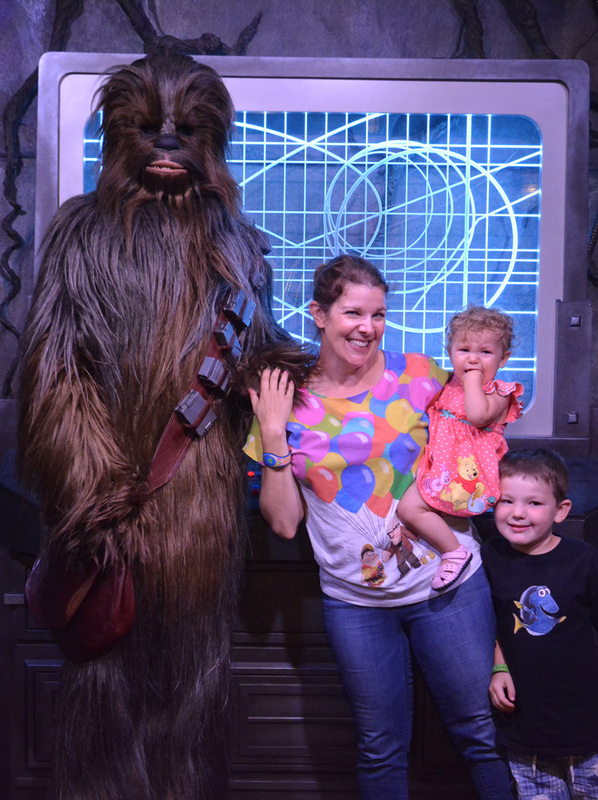 The large and fluffy Chewbacca is quite the hit with the kids (or not, my toddler was terrified!). Kylo Ren? Definitely not. 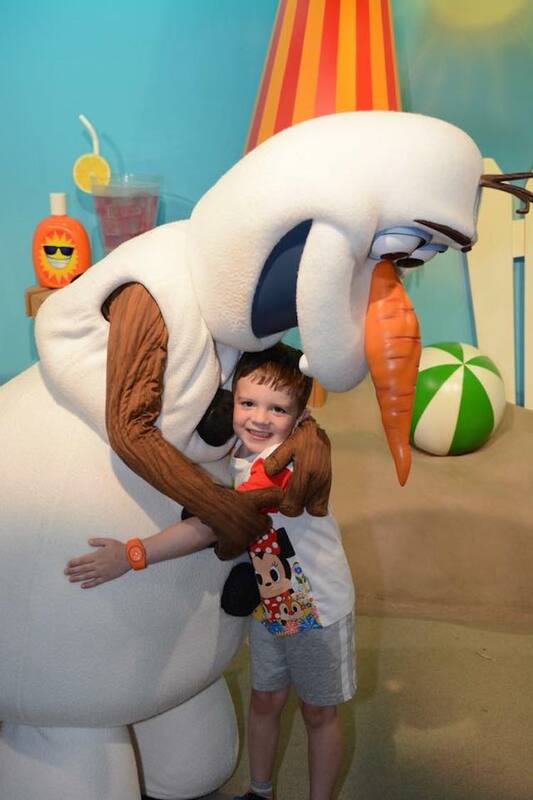 Next to the Frozen Sing-Along theater is where kids can meet Olaf, the world’s happiest snowman. Warm hugs all around! TravelingMom Tip: If you’re traveling to Disney World with kids in a variety of ages, read more about Making Everyone from Tweens to Toddlers Happy at Disney. The breakfast buffet at Hollywood & Vine is a character dining experience featuring Disney Junior favorites. The boisterous atmosphere at the full service restaurant 50’s Prime Time Cafe was ideal for my toddler, and she enjoyed the chicken noodle soup. The hearty snacks at Woody’s Lunch Box, including the lunch box tarts, potato barrels and grilled cheese sandwich is toddler dining at it’s best! There are many who think that Epcot at isn’t for kids. 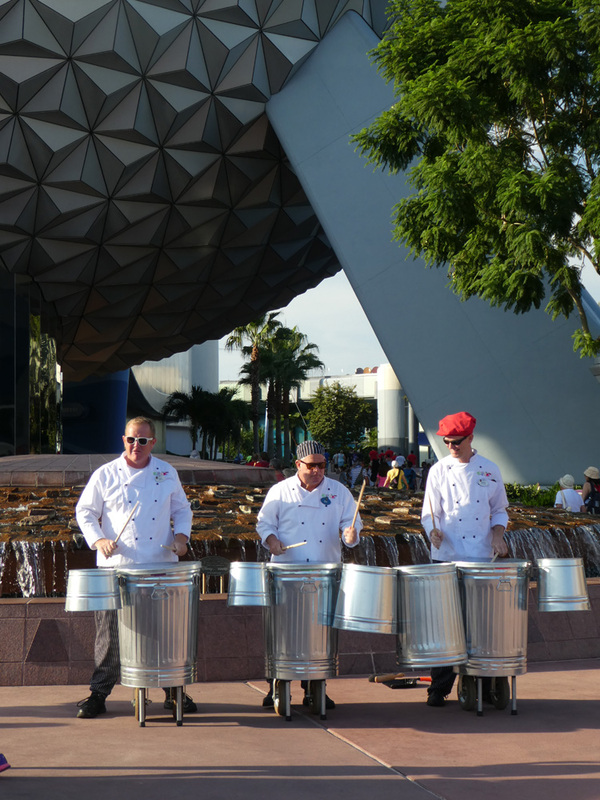 With a focus on futuristic technology and international cultures, many believe that Epcot is an adults-only park and that toddlers will be bored. However I think that Epcot offers a lot for little ones in the way of rides, character greetings and a variety of dining options outside of chicken nuggets! Starting in Future World, toddlers will enjoy rides on Spaceship Earth, Living with the Land and The Seas With Nemo & Friends. The toddler fav, Journey into Imagination with Figment explores sound, sight, smell, touch and taste with a play area to explore after the ride. If your toddler is tall enough (and not afraid of heights), you can also take her on Soarin’. In the World Showcase, there are several more toddler-friendly rides inside the pavilions. See Anna and Elsa in Frozen Ever After in Norway and the Gran Fiesta Tour Starring the Three Caballeros in the Mexico Pavilion. There are so many opportunities to meet different Disney characters at Epcot, including several Disney princesses in their countries. Many are not inside, however, so the wait in line can get hot (great time to hydrate and reapply sunscreeen!). The Character Spot in Future World area is air-conditioned and your child can meet Mickey Mouse, Minnie Mouse, and Goofy as well as Baymax from Big Hero 6 and Joy and Sadness from Inside Out. You’ll also find the ever popular Anna and Elsa from Frozen in their home at the Norway Pavilion. Older toddlers can participate in Kidcot, located in many of the World Showcase pavilions. Mickey’s adorable world-traveling teddy bear Duffy is the official mascot for Kidcot. At each of the Fun Stops throughout the pavilions, toddlers can color and draw while parents or older kids can chat with a cast member about their native land. Many of the pavilions offer live outdoor entertainment that toddlers will love, like Mariache Cobra and the JAMMitors. Leave time in your schedule to stop and allow for a toddler dance party on the sidewalk if the spirit moves them! 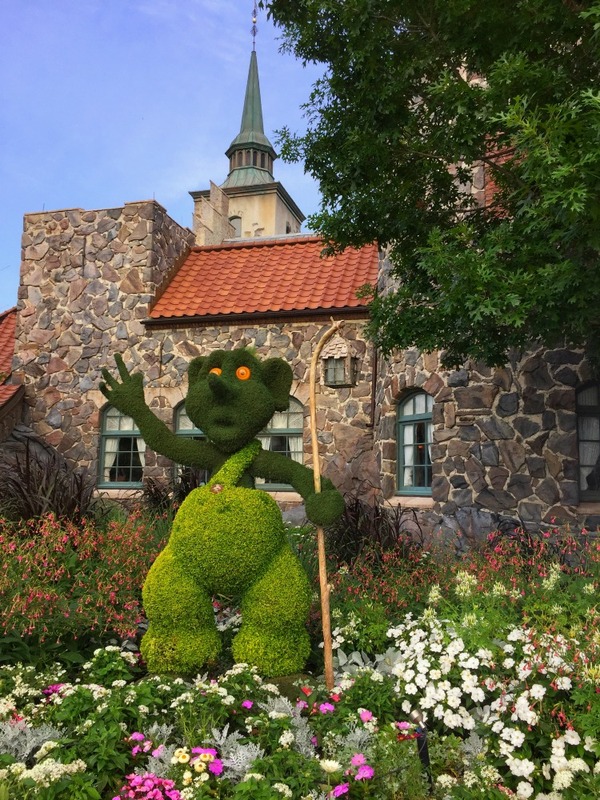 If you happen to be visiting during the Epcot International Flower & Garden Festival, toddlers will delight in the 100+ topiaries shaped like beloved Disney characters blooming around the Park. Take advantage of these perfect photo opportunities of the gorgeous garden colors with your toddler. While there are certainly some sophisticated dining locations at Epcot, there are also many restaurants that offer dishes to please even the pickiest toddler! Garden Grill offers a family-style character table meal featuring Mickey Mouse, Pluto and Chip & Dale. In World Showcase, at Akershus Royal Banquet Hall toddlers can meet with Disney princesses and the Biergarten Restaurant features a rollicking German polka band. There are many quick service locations for grab and go meals that toddlers will appreciate (my kids have loved both the noodles at Katsura Grill and the lamb at Tangierine Café). TravelingMom Tip: Epcot is very large and requires a lot of walking to cover. 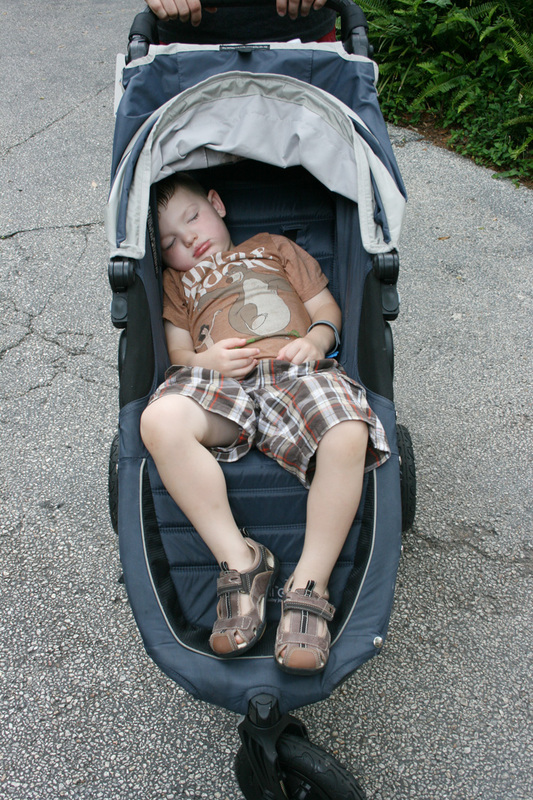 Consider bringing a stroller for your toddler, even if they usually walk. Read Tips for Strollers at Disney. Read Disney-themed books and watch age appropriate Disney films or Disney Junior programs to get little ones familiar with some of the Disney characters. Most toddlers are early birds, which makes it easier for you to get to the Park before opening. 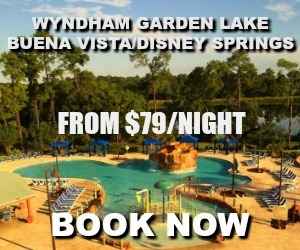 Take advantage of Extra Magic Hours and lighter crowds if you’re staying at a Disney World Resort hotel. Have a quick breakfast at the hotel or do what I do with my toddler – Give her a granola bar and a sipper cup of milk, and let her nibble in the stroller when we walk to the park gates! 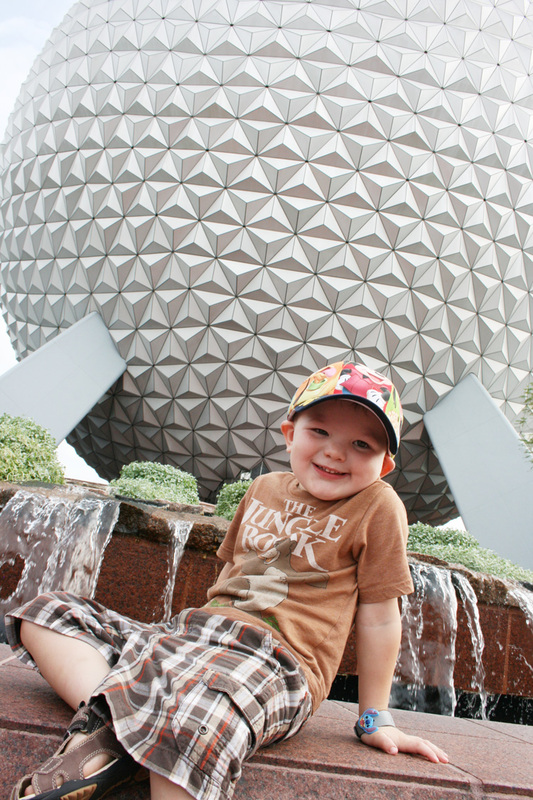 Pack a well-stocked toddler bag for Disney with these TravelingMom tested suggestions. Include a smaller sized rain jacket for protection against the Florida downpours. 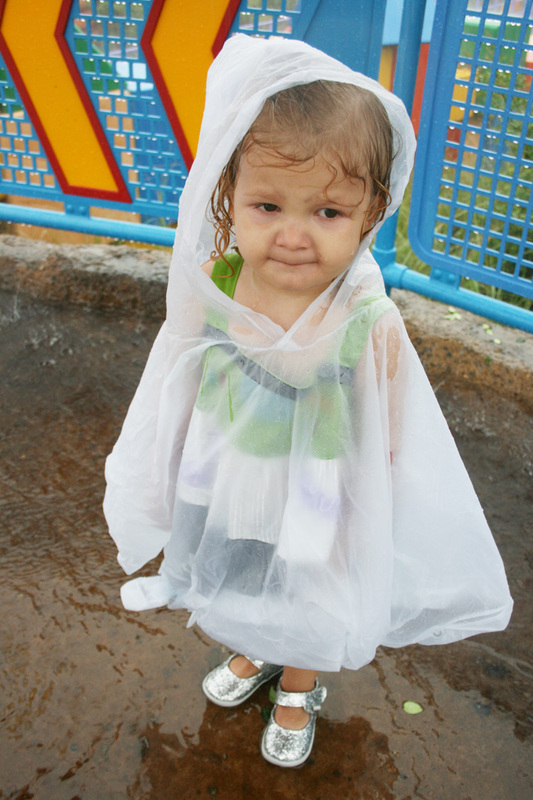 Rain parkas sold in the Disney parks don’t fill toddlers very well! Don’t be thrown off by the name, as the Baby Care Center is a must-visit location with toddlers too. The Baby Care Center has plentiful and clean diaper changing tables. There are high chairs and nursing rooms if your toddler prefers a quiet location to eat. And the best part for potty training little ones – teeny-tiny potties that are perfect for toddlers! There’s a Baby Care Center conveniently located inside each of the four Disney World parks. Post-trip consider creating this DIY Book With the ABCs of Disney for your toddler as a keepsake! 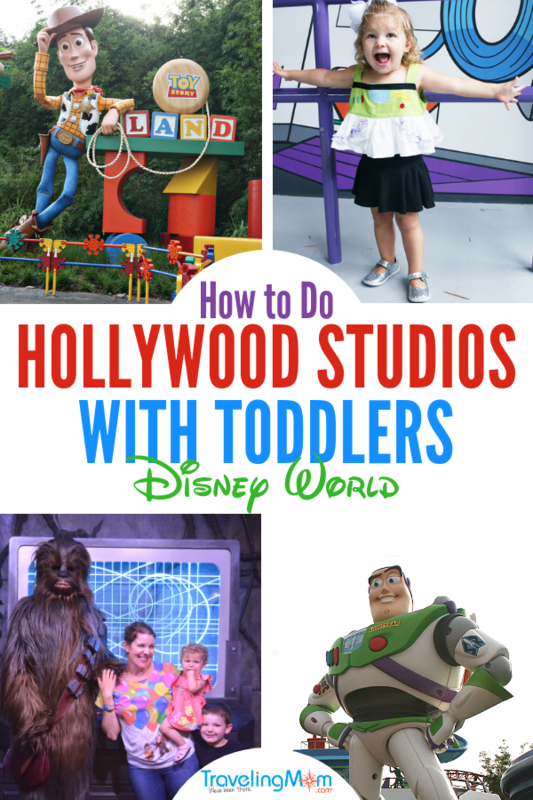 Looking for Travel Advice for Disneyland with Toddlers? 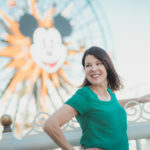 Our TravelingMoms have been to Disneyland too! 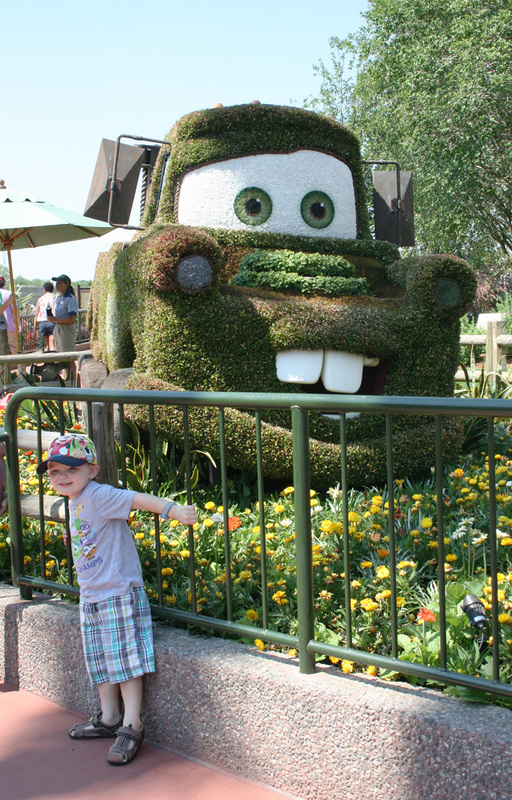 Disneyland with a Toddler – Top 14 Tips for a Happy Day at the Happiest Place on Earth! Your post on traveling with toddlers to Disney World is the most entertaining and informative that I have found. Thank you!! I totally agree with the Magic Kingdom being the best part for toddlers. We spend over half our trip here. As far as EPCOT and Hollywood Studios, we spend probably less than half a day at each. 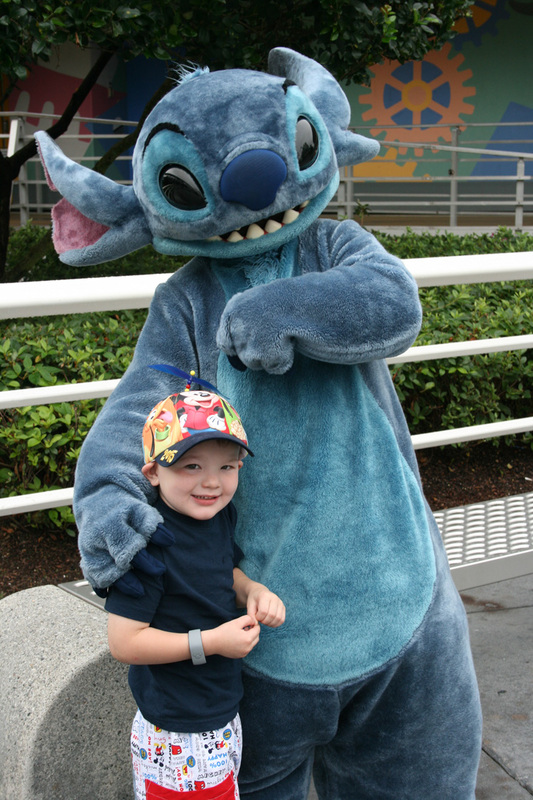 If your kids like Disney Junior, that’s a reason to go to Hollywood Studios. If they’re into rides, EPCOT would be the best option of the two. Thank you for providing some valuable information about the various parks. We’re planning a trip for our 2 yr old in June.